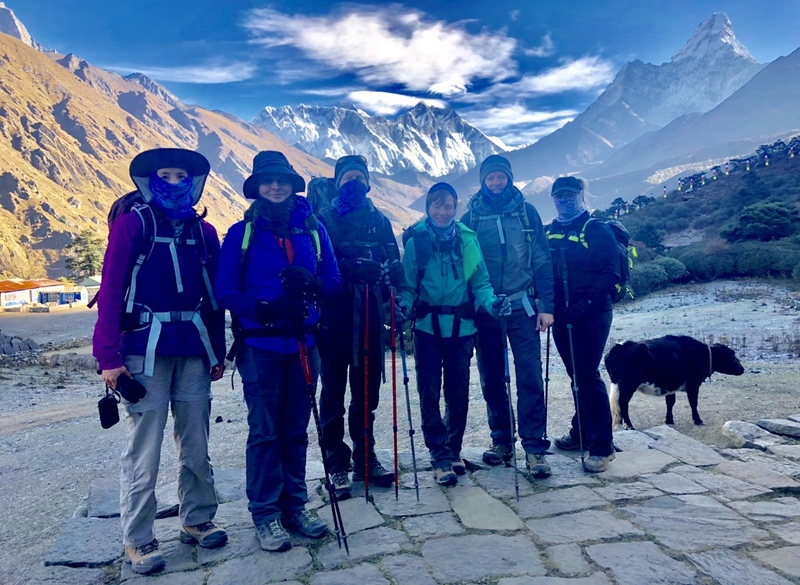 Fall 2018 EBC Trek – Team Cheese Ball Enters Pheriche! Under cold skies we were rolling before the sun hit us. All were amazed by the view. 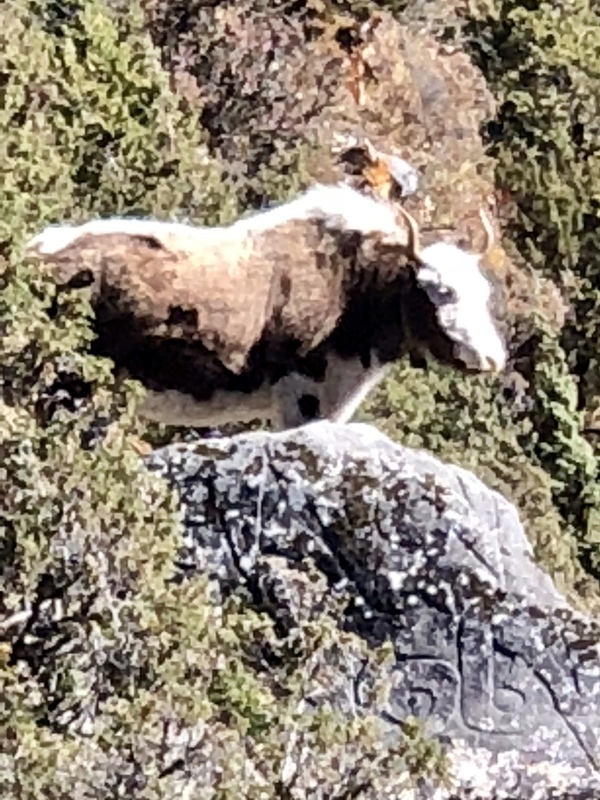 We headed up the Duhd Kosi valley and encountered several indigenous animals. 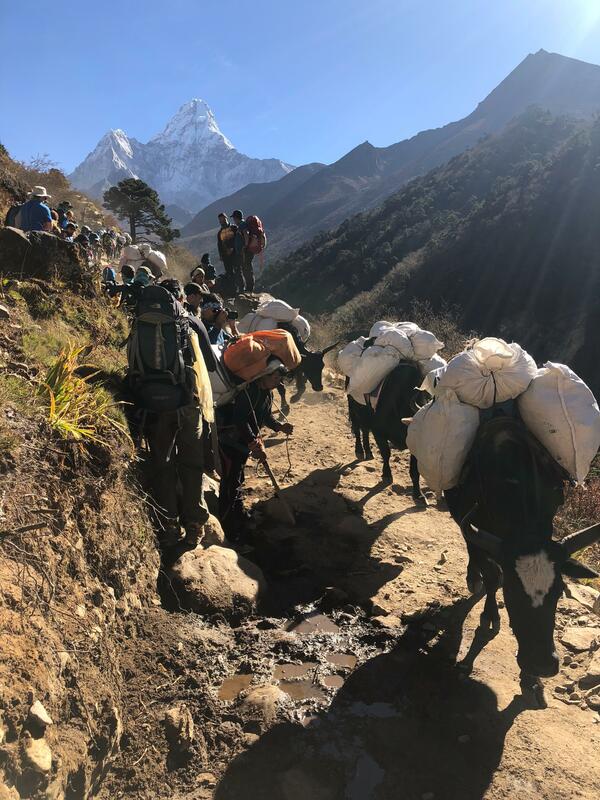 Yak traffic was thick. Things thinned out off road! 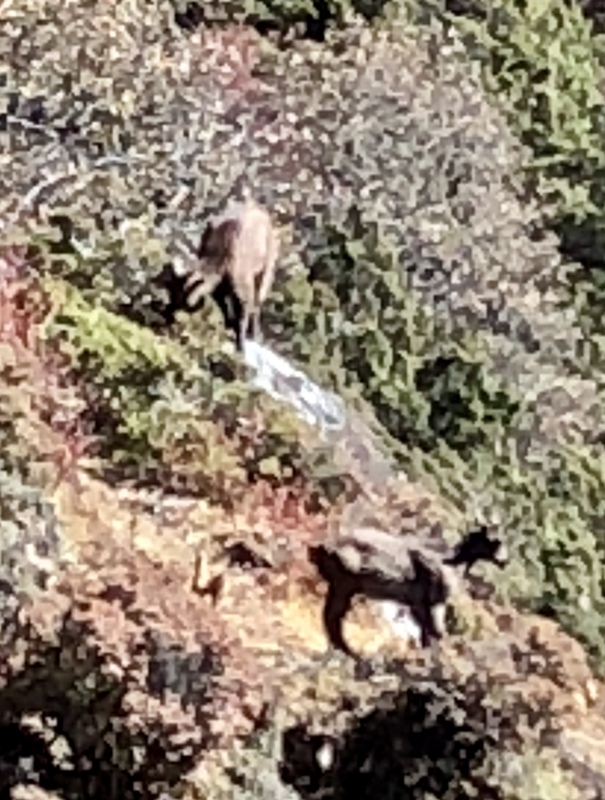 We even spotted two well camouflaged young Himalayan Tar, of the goat family. 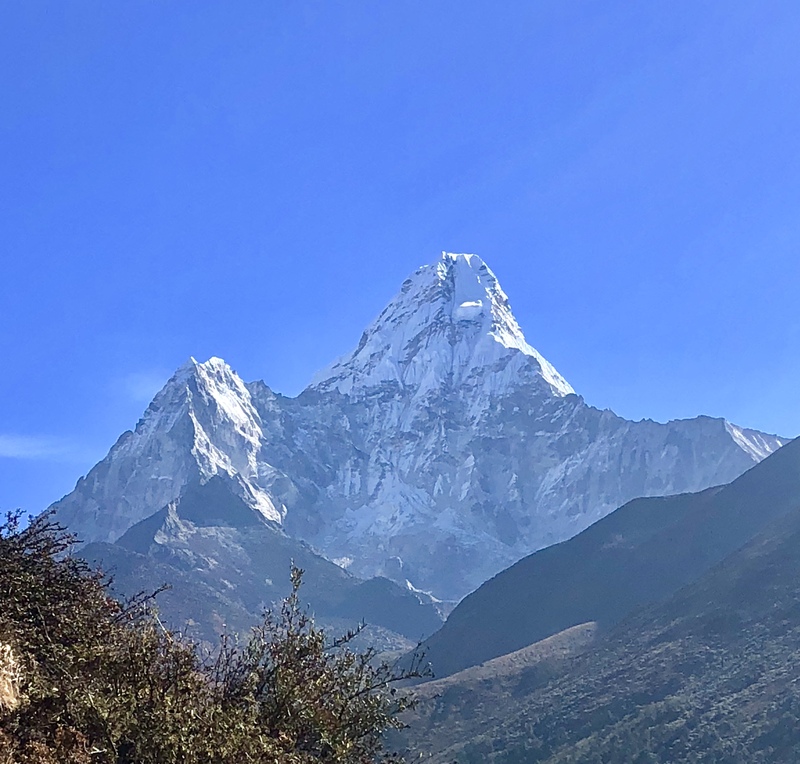 This all took place under the majestic Ama Dablam, the iconic mountain of the Khumbu. Temperatures are dropping below freezing at night and the air is getting thinner. The team is embracing the challenge yet looking forward to a rest day tomorrow.